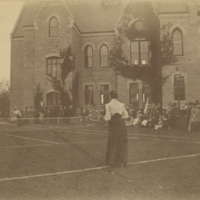 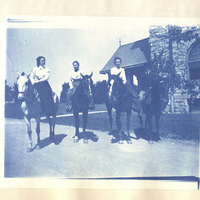 From the opening of the college, students took part in tennis, horse-back riding, skating, walking, and biking, both for pleasure and for health. 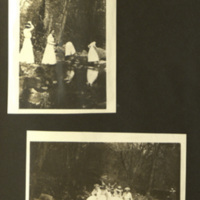 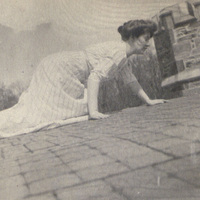 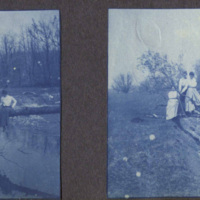 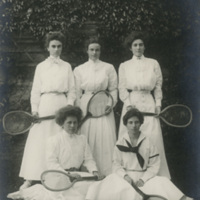 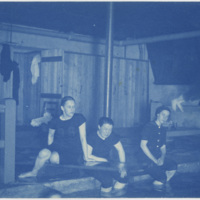 If the images below, taken from scrapbooks and photo albums in the Bryn Mawr College collection, are any indication, then Bryn Mawr students did not always embody the ideal of proper, sedate Victorian ladies but instead embraced opportunities for physical activities. 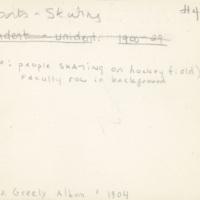 While the administration fretted over how to compel the students to practice gymnastics regularly, the student body developed an active athletic culture which encouraged class rivalry and celebrated record-breaking.